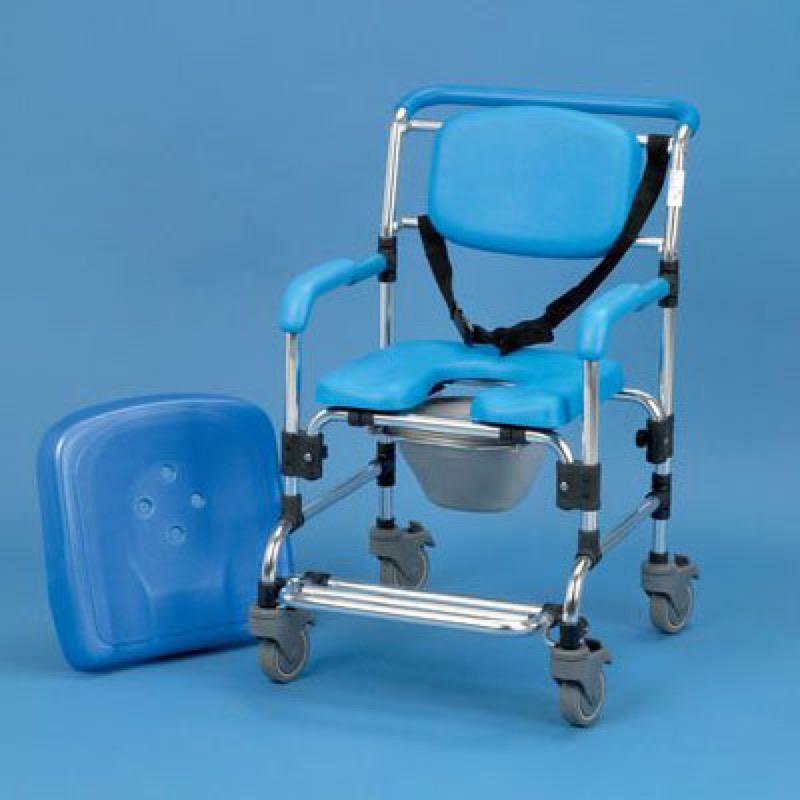 This wheeled shower/commode chair features a comfortable seat for washing and toileting use. It provides comfort for the user and it can be easily dismantled and is lightweight, making it easy to store. This wheeled shower/commode chair features a comfortable contoured horseshoe seat for washing and toileting use. It provides comfort for the user and it can be easily dismantled and is lightweight, making it easy to store. Supplied with a commode pan and four braked castors. Seat size 16 x 16". Seat height 21" Width between arms 18". Width between Seat Arms 18"